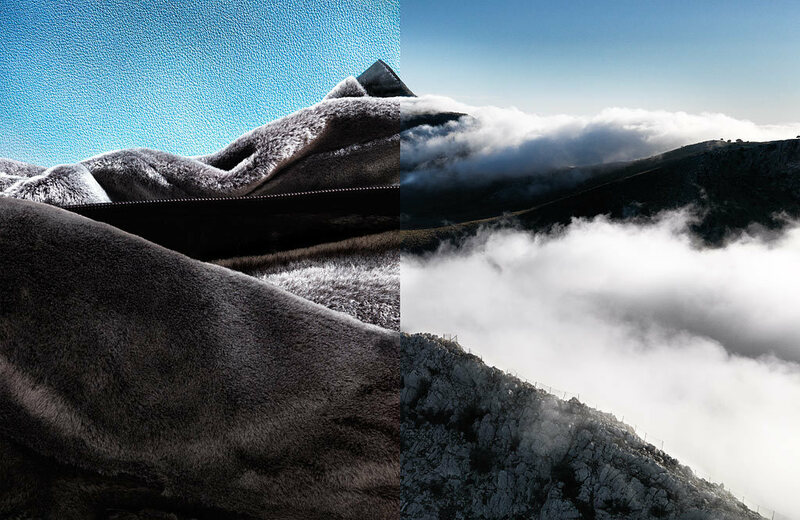 This series of diptychs was commissioned by photo editor Madeleine Penny for the second issue of Avaunt Magazine, created by renowned polar explorer, Ben Saunders, and Matt Willey and Dan Crowe of Port Magazine fame. 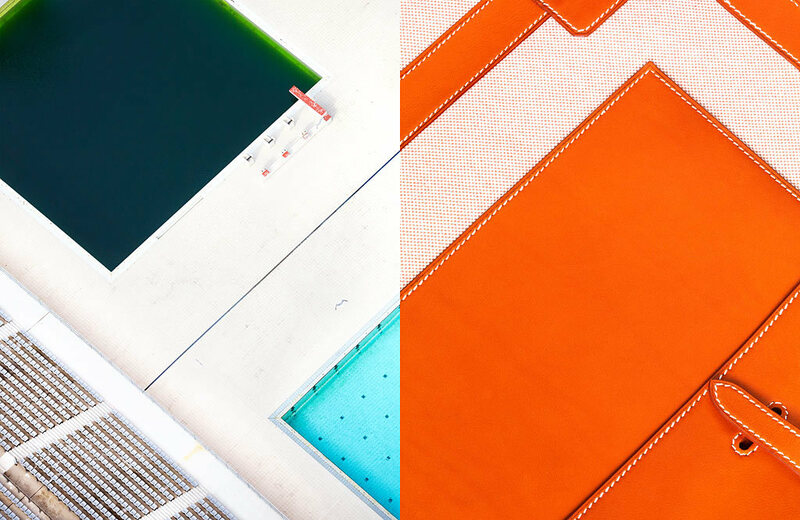 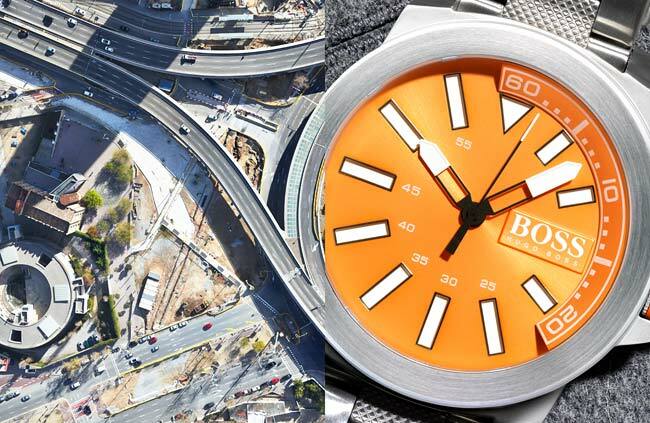 I combined my aerial photographs with the inside of a Paul Smith jacket, a Hugo Boss watch, a leather Hermès bag and coats by Ermenegildo Zegna and Boss. 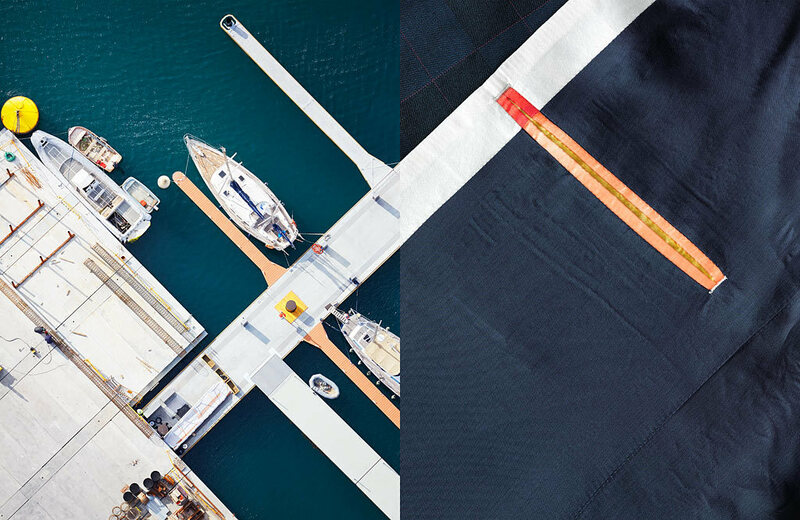 The magazine features writing by Will Self, an exploration of the UK’s new aircraft carrier, the HMS Queen Elizabeth, photography from the International Space Station and much more besides. 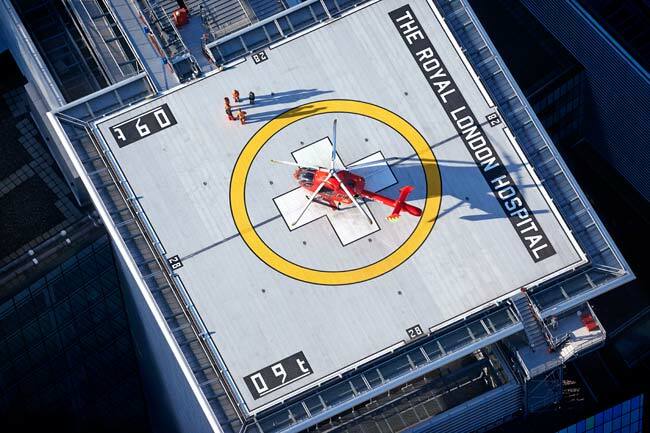 The magazine also featured a double-page spread of my photograph of the helipad of the Royal London Hospital.